Sea Garden villas in Paros is a collection of nine independent, classic Cycladic-styled villas in a stunning garden setting at the seaside. 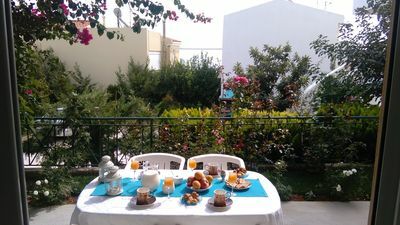 Sea Garden villas are perched above Agia Irini Bay and all overlook the crystal-clear blue waters of the Aegean Sea and are surrounded by bountiful, mature gardens. 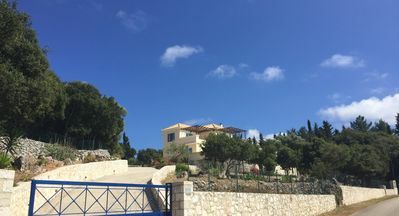 Each of the houses can accommodate 4-6 people and they're only metres from the beach via a pleasant private footpath to a very secluded swimming area. 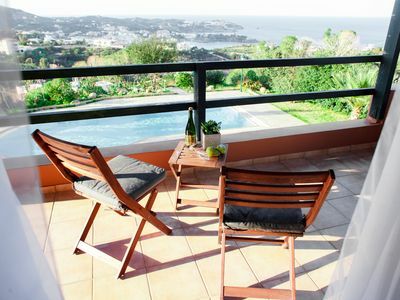 They all have private balconies and boast panoramic views of the Aegean Sea, the nearby islands and spectacular sunset views. 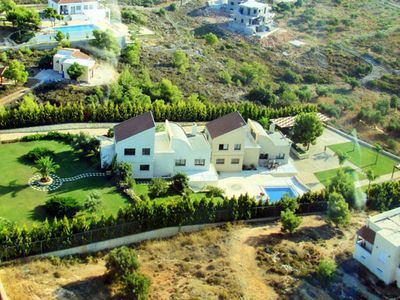 The nine villas are built in a distance from one another to enjoy full privacy in all the terraces. 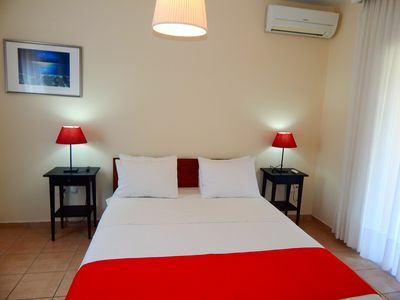 Sea Garden villas are all fully-equipped and well-appointed throughout and all have living rooms, fully-equipped kitchens and bathrooms and private seaview verandas and one of them has its own private swimming pool. 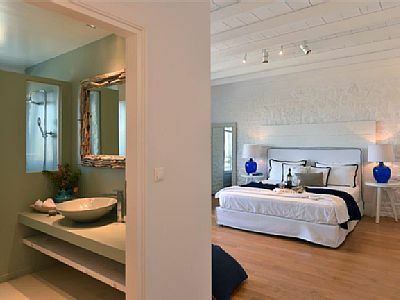 These villas are artfully furnished with artworks and ceramics from local artisans and each of the villas is uniquely designed with architecture and interiors drawn from local traditions for a true taste of the Greek island aesthetic. 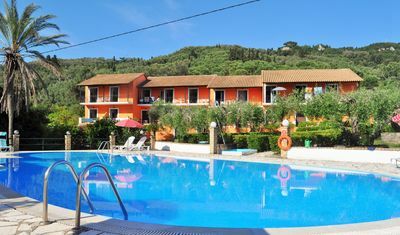 They are fully-surrounded by sprawling, lush well-tended gardens that stretch right to the seaside and offer seclusion, shade and a serene setting. 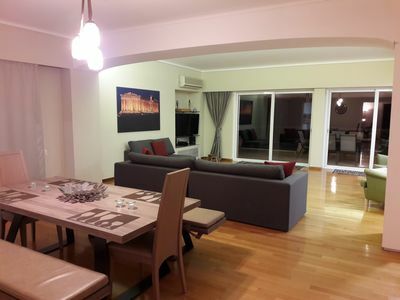 Villa Sea Garden 9.100 is a fully detached handicap accessible house of 100 sq.meters with 2 bedrooms (double & twin). Possibility of sleeping 2 more persons in the living room in its 2 built sofa beds. 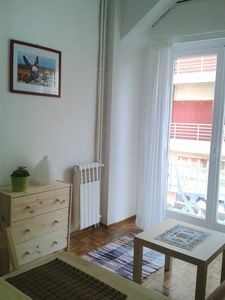 There is fire place and large kitchen equipped with full size refrigerator, cooker, cooking utensils and dinnerware. Dining area. 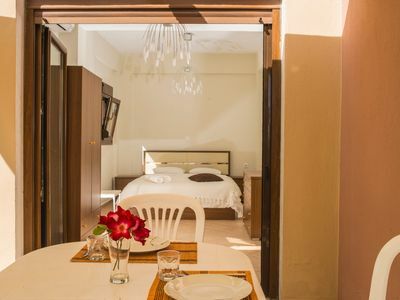 Verandas with open view to the sea and the garden and two bathrooms (bathtub & shower). Airconditioned. With private swimming pool. 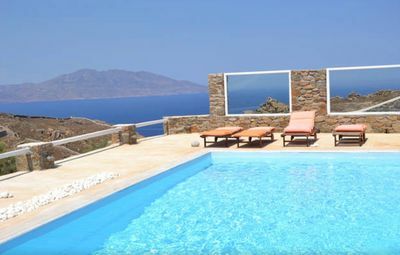 this villas is all fully-equipped and tastefully furnished in the classic style of the Cyclades and adorned with artworks and pieces designed by local artisans. 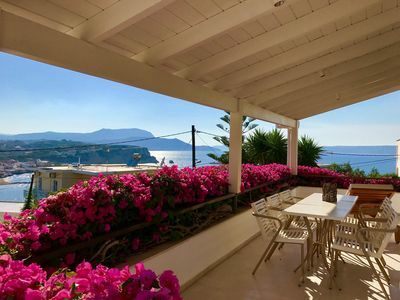 It has both front and back furnished verandas with sea and garden views that are ideal for dining al fresco, sunbathing or just soaking up the splendid setting and sweeping sea views. 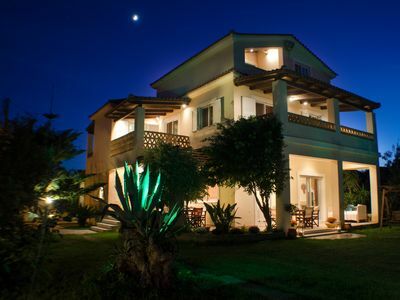 Villa Sea Garden is very private and separated by large spaces and mature, verdant garden grounds. 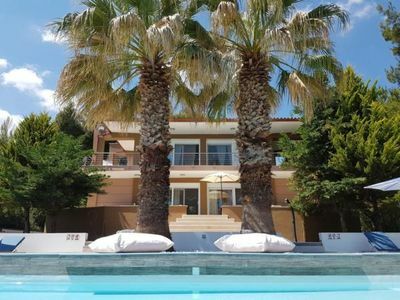 It offers a spectacular setting for savoring the very best of Greek island holidays: comfortable and stylish fully-furnished villa in a beautiful tranquil location near the sea. 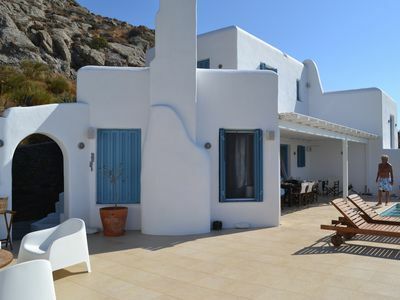 It offers comfortable accommodation in a spectacular setting on the sea and is available year-round for your perfect Paros holiday. A small, swimming spot is right below the house, accessed by the garden, where it is unusual to find other swimmers than the villas' tenants. 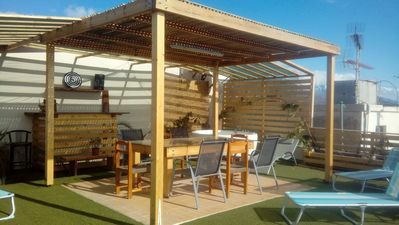 For your comfort, there is also a sun shelter and a couple of sun loungers. For dedicated boat travelers, a small boat jetty is set just underneath the house. 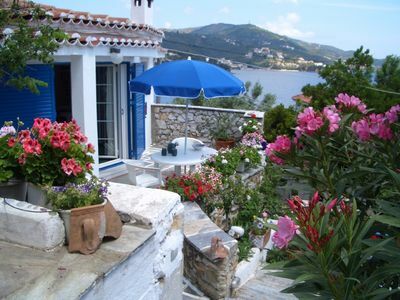 Kripis House Villa Pefkohori - 100 m from the sea. Creative Paleohora! Roof garden villa!